Interactive Voice Response is an automated telephony technology that can read voice input and touch tone as well. IVR system cab be helpful to reduce costs and increase customer satisfaction. Aria Telecom Solutions Pvt. 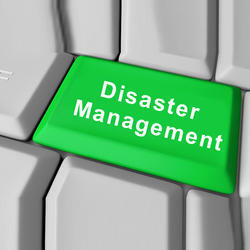 Ltd., a leading telecom company, has recently developed IVR based disaster management system. The system provides facility to inform to control disaster (as snow storm, wild fire or flood) at networking. The use of IVR during emergency has proved a highly effective tool. Call connect time, call duration, disconnected time etc. We are pioneers in the designing of wide range of Interactive Voice Response System fro Linux. The use of advanced technology has allowed us to develop a highly sophisticated range that is very easy to operate and maintain. These are successfully delivered within committed time frame at the negotiable prices as it does not require any special hardware or software licenses. Feedback are the most essential need of any organization beause this leads to know about the satisfaction level of customers. For this Aria Telecom developed this technology which are effectivelly design to take feedbacks on calls. 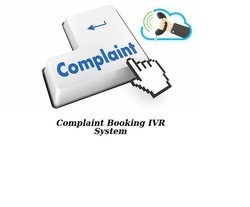 A complaint booking IVR based system is used for booking complaints of customers, residents etc. Parth IVRS is Unified Communication System which works as standalone tool for IVR application for complaint management. 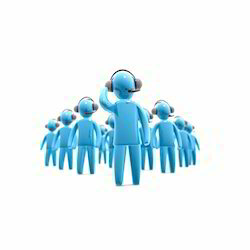 A company which has large number of customers should go for IVR based complaint management system. Aria IVRS can be customized according to the requirement of clients. Interactive Voice Response (IVR) system provides facility to callers to get access to information without human intervention. IVR can be deployed in education field to improve college or institute administrative personnel. IVR solution in education system can be helpful for the students, their parents, faculties to be up to date with academic process and activities. IVR based cab booking system allows user to book their cab anytime from anywhere. 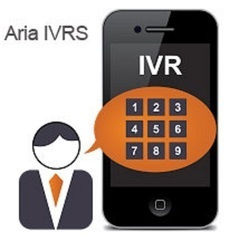 Aria IVR system gives the ability to city cabs and taxi to offer fast, reliable, efficient and safe way to book your cab or taxi.When a user called on IVR number, he/she was greeted by an automated voice. The automated IVR system will ask you to registered address. If you are a mobile user, the IVR system will monitor the incoming numbers and address being booked and automatically take your call. OBD IVR is an fascinatnig application for publicizing any important information about any meet , promotional offers or updates regarding any upcoming activity. All these can be done in one go with the help of ARIA OBD IVR . It is quite beneficial for any organization or even for personal use in order to send the information to all the activity related groups . It saves time and is user friendly as we can make it active as per the time slot we reqire. It is a simple plug and run device . Its functional area could be : any public meeting, fire incident, emergency, any social activity , election campaign, payment reminders, service reminder, birthday anniversary greetings, transaction alerts OTP sending.